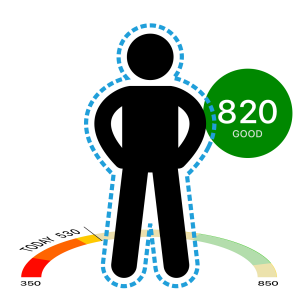 HealthMetric converts data already on your phone into a single, easy to understand Health Metric score. Designed to manage data from a wide range of sources, HealthMetric automatically merges the data from different sources based on a user’s preferences. HealthMetric’s focus is on analyzing a user’s health-related data to create a unified score based on a user’s goals, leaving the collection of this data to more specialized apps. 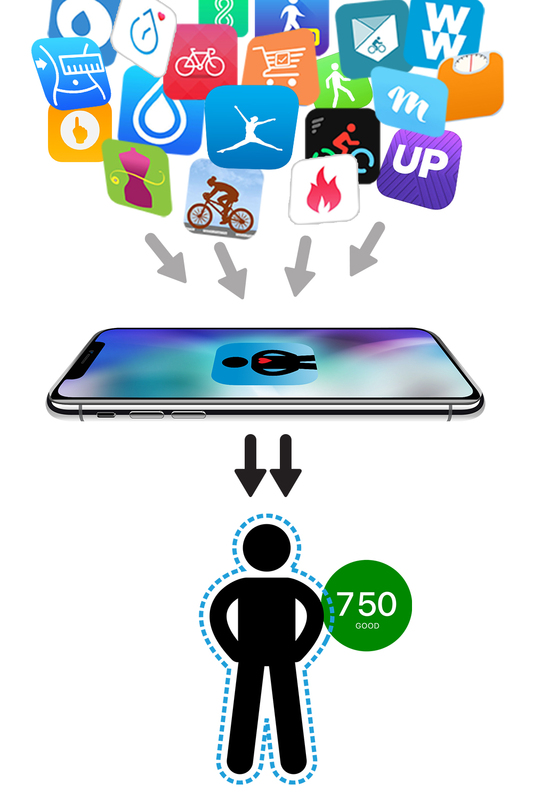 This separation of responsibility allows users take a mix-and-match approach to managing their health by selecting their favorite weight tracking app, step counting app, and health challenge app, with each app calibrated to their specific needs. 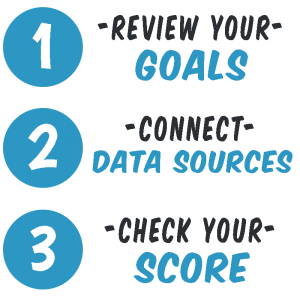 Getting Started with HealthMetric is done in three easy steps. It’s all about your personal goals. select a more customized goal set based on your personal preferences. You can always fine-tune your personal goals using the My Goals tab in the HealthMetric app – adjust your goals to fit your current lifestyle or the one you want. HealthMetric automatically merges and analyzes health data from different sources based on your personal goals. HealthMetric performs analysis on data from any HealthKit-enabled app. This enables you to take a mix-and-match approach to data gathering by selecting your favorite weight tracking app, step counting app, and health challenge app — with each app calibrated to your specific needs. 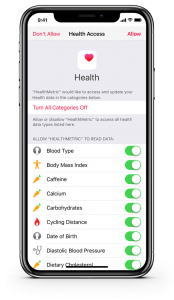 Depending on what information you log with HealthKit-enabled apps, you will be prompted to allow HealthMetric access to that information via the screen to the right. You can grant or rescind HealthMetric’s access to that information at any time. Once you have set your goals — and have connected your data sources — HealthMetric will immediately begin analysis and will generate your Health Metric Score. This can take several seconds for each data of data that is processed. Once you have a score &mdash; view the Take Action tab to view hits and actions you can take to increase your score.